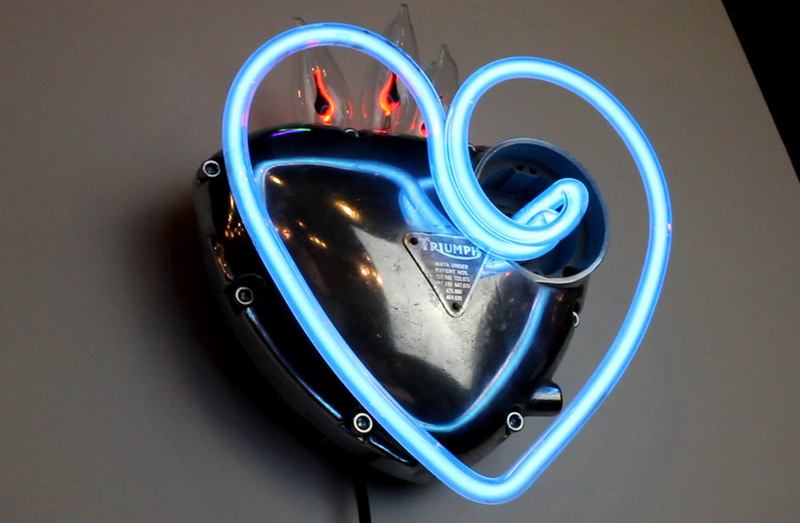 Triumph Neon Heart | Sanford Neon! 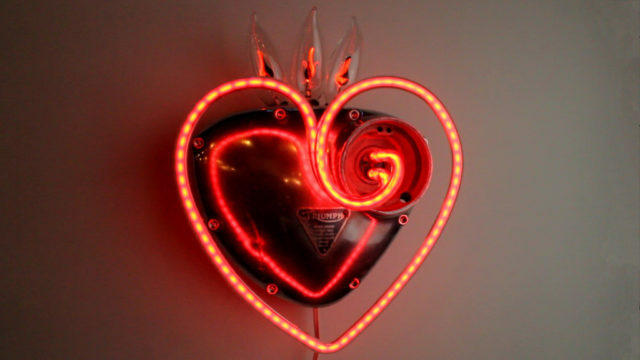 Triumph Neon Heart neon sculpture glorifies the engineering and design challenge of the internal combustion engine. 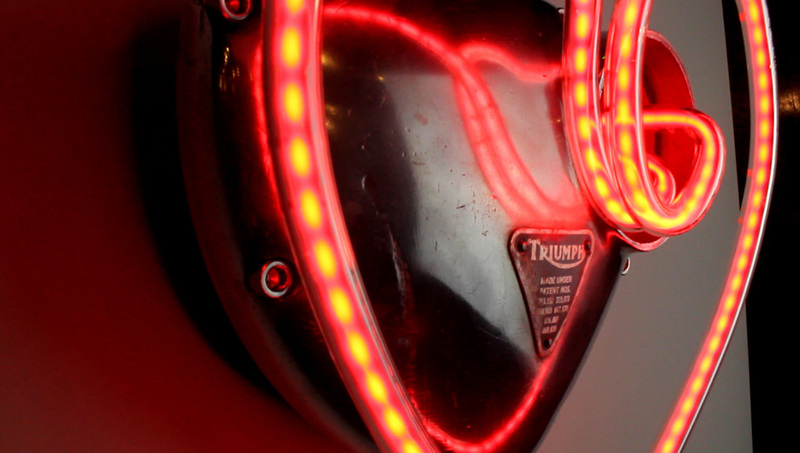 …Passion that so many of us have for these machines.. 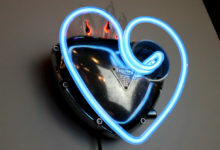 Cast in Meriden England in the 60’s, this polished aluminum timing cover once encased and protected the heart of a Triumph parallel twin engine. Oil, the lifeblood of any engine, is pumped here. Cam gears, driven by the crankshaft pinion, perfectly actuate and time intake and exhaust valves. 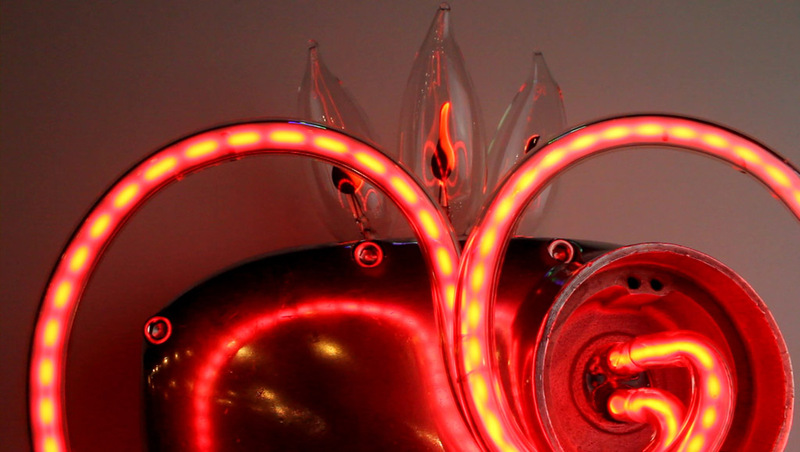 The spark plug firing signal originated from where neon tubes now emerge. the pinnacle of mechanical beauty..
Leaded glass, filled with neon gas create the neon red heart. 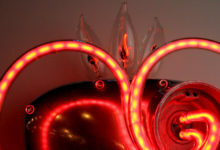 Flicker flame bulbs acknowledge our burning human desire for exploration and passion. 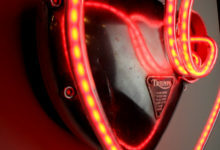 Triumph Neon Heart has been sold.. 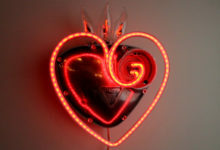 Triumph Mercury Heart is available, please contact me.